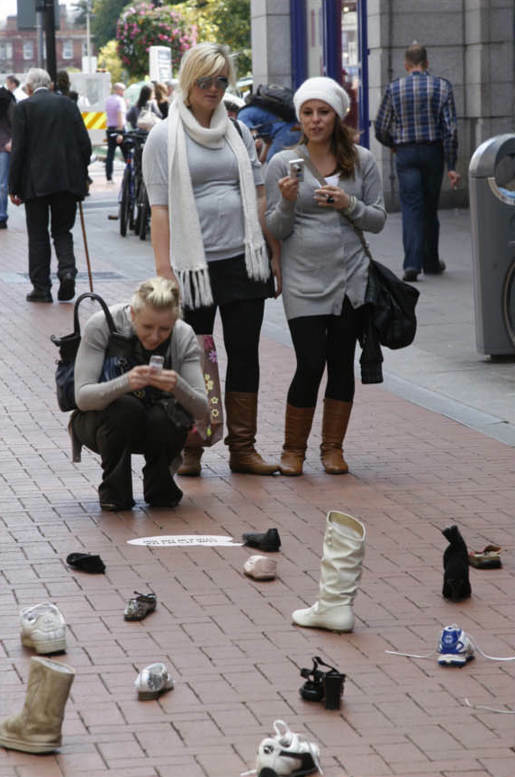 Dublin City Council has challenged gum-related litter habits with an ambient advertising campaign reminding people that gum is better stuck in the bin. 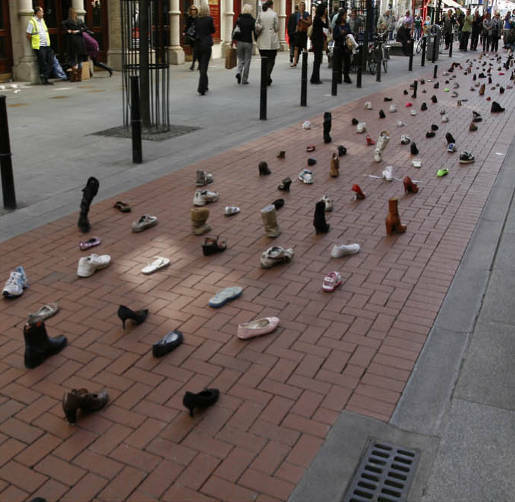 Hundreds of shoes were stuck to the ground with gum in a popular shopping centre in Dublin. 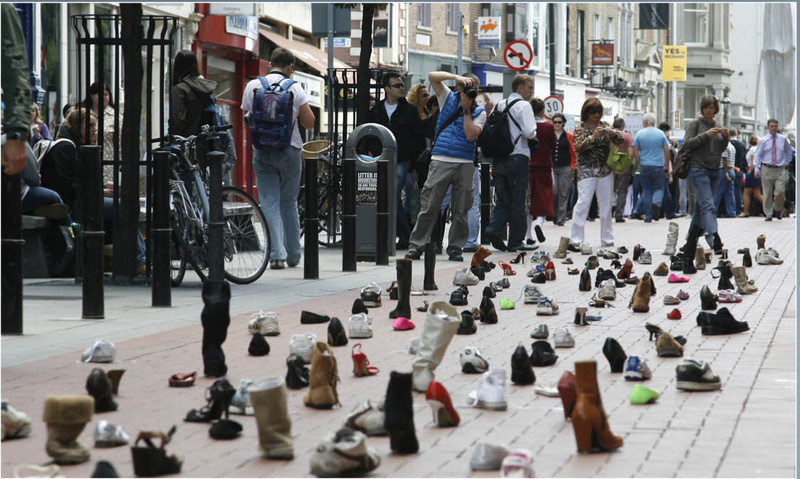 The stunt attracted the attention of amateur photographers and was covered by local media, blogs and social networking sites. 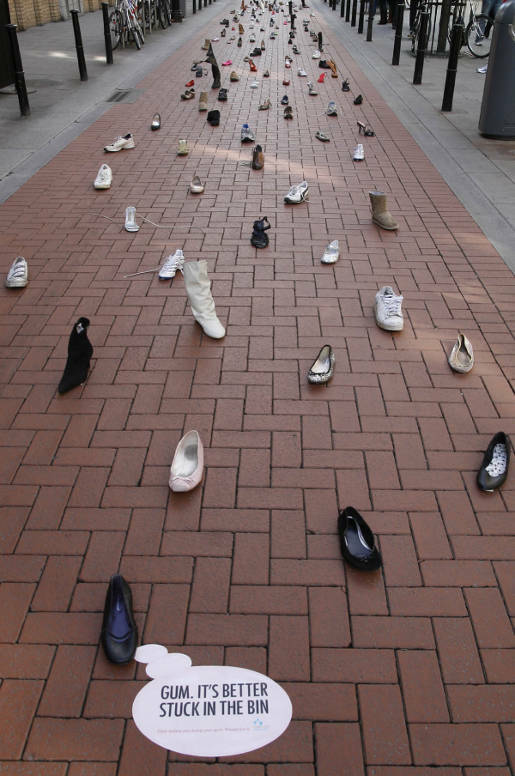 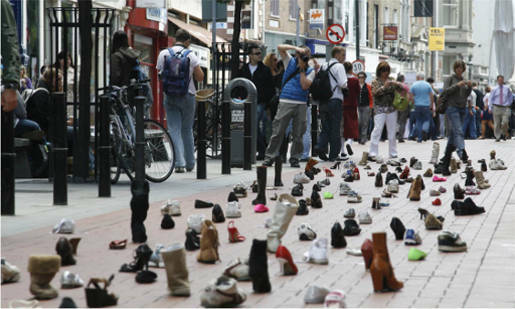 The Sticky Shoes campaign was developed at Publicis QMP, Dublin, by creative director/art director/copywriter Ger Roe, art directors Stina Redemo and Jane Lawrenson, with photographer Paul Heaslip.